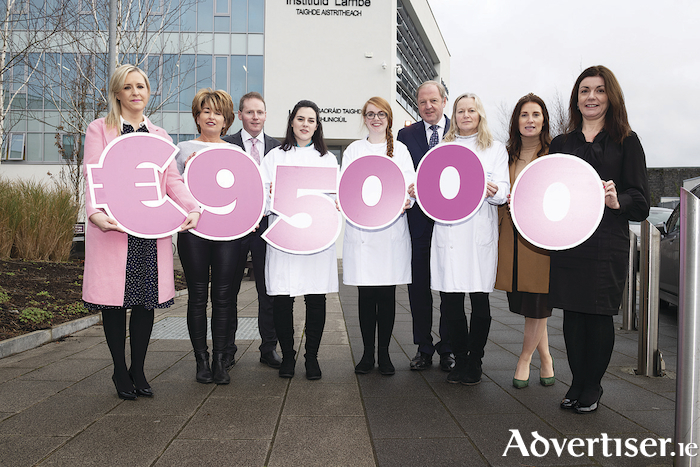 The National Breast Cancer Research Institute is an Irish charity that raises funds in support of the breast cancer research team lead by Professor Michael Kerin based at the Lambe Institute, NUI Galway. The support of local and national business and the huge number of people who came to the event ensured this was one of the most successful fundraising events they have held. Director of Research, Professor Michael Kerin said this is a great example of one of the most established and forward thinking brands in Galway (Racecourse ) coming together with our Ccncer charity to raise funds. “Our research is delivered from the Lambe Institute, a purpose-built modern translational research facility on the grounds of the University Hospital in Galway and concentrates on near patient research and allows us to take research findings from the bench to the bedside. “The programme has multiple research interests including the genes that cause breast cancer, Biomarkers which can identify different types of the disease and response to therapy, novel ways of diagnosis including microwave breast imaging and the use of stem cells in breast reconstruction. All of these programmes are technically demanding and expensive and we are very grateful to our funders for their continued support, “ he said. “The race day was particularly successful and I am very grateful to the “Race in Pink” Committee, the race sponsors and the local businesses who helped with corporate sponsorship as well as our continued loyal supporters among the public,” concluded Prof Kerin. Commenting on the money raised for the charity by the ‘Race in Pink’ event Michael Moloney, Manager of Galway Racecourse said he was really delighted that this race day was so well supported by businesses and the eight hundred guests who attended the lunch on the day. “People came from all over Ireland to support such a great cause, with some flying over from the UK. By partnering with the National Breast Cancer Research Institute, we are supporting a research team who are successfully working on improving breast cancer diagnosis and treatment. “It was a superb day with fantastic feedback for the event. We’ve already had a post-event meeting with the Race in Pink committee and I’m glad to report plans are in full flight to repeat this for 2019. We had a great day that raised a large sum of money for such a worthy organisation. Well done to all involved. It was a great way to end the racing year for us too here at Galway Racecourse”. Free Yourself from Diabetes Anxiety and Get Your Blood Sugar In Check! Page generated in 0.2039 seconds.